Illustrated with black-and-white photographs. 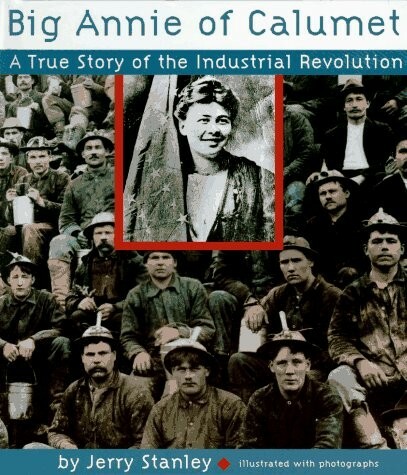 Award-winning author Jerry Stanley tells a true story of the Industrial Revolution and the role women played in the early history of America's labor unions. Annie Clemenc was the wife of a miner in Michigan's Upper Peninsula. When the miners struck in 1913, Annie led them in daily protest demonstrations, only to suffer beatings and imprisonment. But her determination inspired the miners to continue to strike against great odds. Gripping and informative, this is a story that illustrates the experience of the industrial laborers who built modern America. "While Big Annie Clemenc was certainly one of the more remarkable figures involved in the dispute, the book is not her story per se, for the strike is really the focus. Little is known about the Croatian miner's wife beyond the fact that she mobilized supporters and led a parade of labor sympathizers every morning for a year and occasionally engaged in acts of civil disobedience. She was known for her loud voice, her valiant dedication to her cause, and her strong attachment to her country and its flag. In 1913, miners in Calumet, Michigan, fought to a bitter stand-off with the powerful C H Mining Company. An inspiration for many strikers was the wife of a Croatian miner, Annie Clemec. At 6-foot-2 inches, "Big Annie" led marches seven days a week over the months of the strike, carrying a "massive American flag on a 10-foot staff." 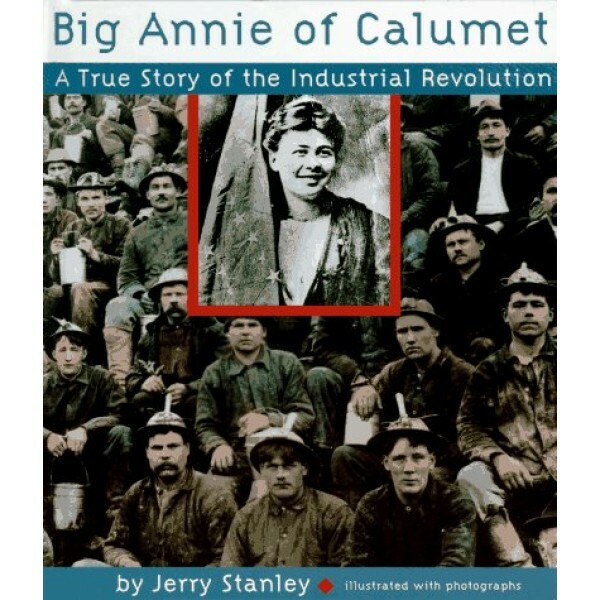 Protesting the brutal working conditions, low pay, and the fact that "on average, one worker a week died in the mines, and two were crippled for life every day" at Calumet, Annie's dedication won the hearts and attention of many citizens and newspapers, who in turn backed the striking miners. A book for intense teens who might want to change the world.